Already in February we organized the first AROLLO Video Challenge. Countless customers and Fans of AROLLO sent theirs videos showing AROLLO Overknee or Thigh High Boots. Chrissy Brilla from the United States won the Grand prize – One pair AROLLO Thigh High Boots Stiletto Roma. The year continued with the most changing step in our history so far. After 101 years working from Tyrolean Capital City Innsbruck, we moved to our new location in Telfs. On March 1st we finalized the move from Innsbruck to Telfs. Our whole stock including new office furniture and a brand new computer Equipment has been moved from Innsbruck to Telfs. To be not too long offline everything must be done in just one day. Together with the help of some friends we made it. Already one day later everything was done and we were online again. Also in July we relaunched the new AROLLO Online Shop. At this point, thank´s to Mario Hierber from the Quoup Company. through his good ideas and his excellent now how the new shop is a great success. Now we offer 6 languages and many, many new features to make online shopping easier and more comfortable. In Summer we finished the new Collection for 2019. There are five new styles coming up. All High Heels – as you are used to from AROLLO. 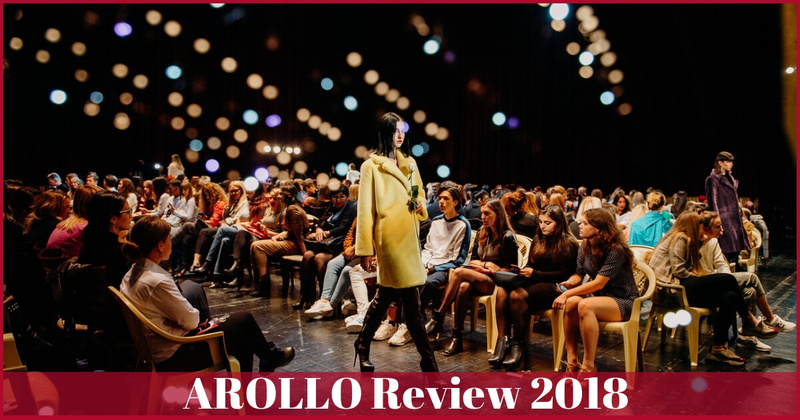 In October we organized the 2nd AROLLO Photo Challenge. Hundreds of participants took the opportunity to win one pair of AROLLO Overknee Boots Victoria. Daynia form Germany was the lucky winner. On November 3rd we took part of the fall edition of the Caspian Fashion Week in Astrakhan, Russia. Once again we delivered to most spectacular show in this evening. All our thanks fo to Olga Egorova and her team. She organized again a special show and took care about to make AROLLO better known in Russia. Also for 2019 are already some events planed – so stay tuned to get all information just in time.